Why go on a guided pub crawl? Are you a party animal or a professional alcohol gourmet? Actually, it doesn’t matter. 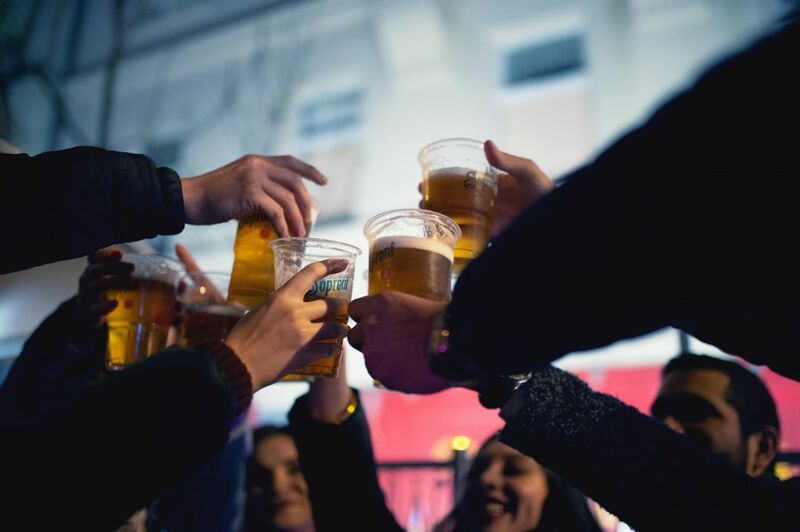 If you want to enjoy yourself and make new friends, sign up for a pub crawl in Budapest and discover Europe’s new party capital! Want to know more about the deal? Read the following article and be convinced! As you might have heard Budapest is the new hit amongst the party cities of Europe. Its unique setting and historic sights make it the perfect destination for an unforgettable holiday. Getting there is easy and the costs of living are a lot lower than in the rest of Europe. Not to mention the quality service you can get here in hostels and restaurants. Guided pub crawls have the benefit of taking you to the best places in town. On your own, you can’t find all the hidden gems of the city, safe for the most popular places. A Budapest bar tour takes you deep into the vivid nightlife of the city. You can read a lot about ruin pubs in guides and check Trip Advisor ratings, but these don’t compare to the knowledge a local has here. Our guides are veteran party people, who know what to look for and ensure that you will have a good time. They are young and speak good English, so they really know what they’re doing. Going together on a pubcrawl is not just a guided tour in the city. You get the chance to meet a lot of new people too. As you can imagine, there are tons of foreigners in the city looking for a party. Join them and have a blast together! Not to mention that our guide will help you to get to know locals better and mingle with them. Our guests tell us of fond memories they have about pubcrawl nights. Budapest has dozens of ruin pubs and the industry has grown significantly over the years. Our team will take you to the best bars and dance halls, since we often visit these places to know which one is best. If you love electronic music, pop hits or alternative tunes, no problem! Just ask our guide to take you to the next best one. Getting excited? Wait no more! Just visit our site and book your Budapest pub crawl experience today!